March has definitely been a busy month for me. Things started off on a positive note. My husband got me a new computer. My old mac was so old that I couldn’t upgrade any apps I had installed. Some wouldn’t even run at all. I couldn’t run 2 at the same time… you get the idea. I still don’t know how I managed to get any work done on that thing. It took a lot of patience. Well, with the new computer comes updated apps. Just when I started to dive in I ended up coming down with the flu. I’m just now starting to feel like my old self again. So now I get to figure out how to work these very new to me apps. On the plus side it’s nice to be able to run Photoshop while playing music in the background again. What’s even nicer? My apps not closing out in the middle of working before I can save my progress. Good times. Just before getting sick I had reviewed the e.l.f. 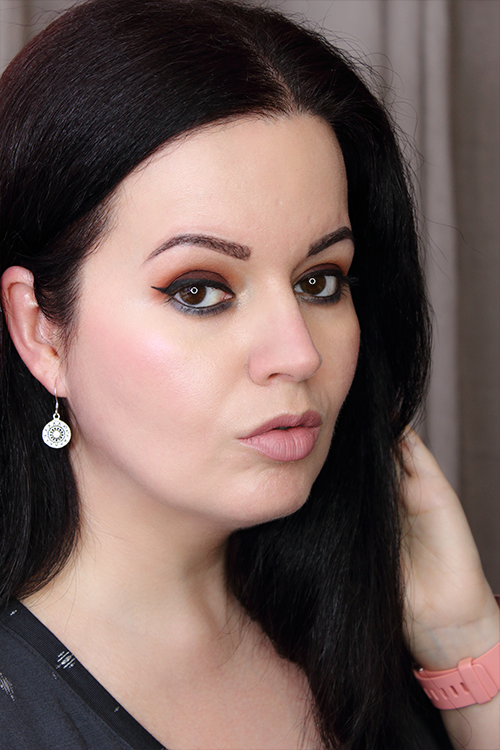 Poreless Putty Primer. 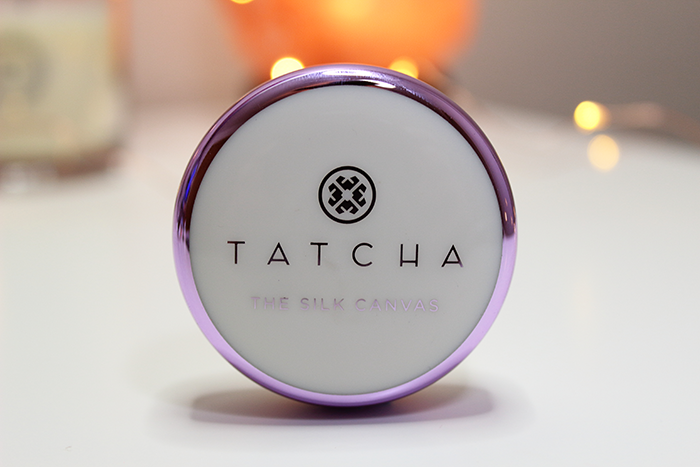 Unfortunately it just didn’t wow me, but it sent me on a mission to try and track down the Tatcha The Silk Canvas Protective Primer to see if they were in fact similar. I was finally able to find one in stock at my local Sephora, but they only had the mini size. This wasn’t really a big deal for me since I was really only wanting to try it out. The mini was the perfect size for just that. The only downside to that is that the mini doesn’t appear to come with a spatula which is how you scoop the product out of the container. At least mine didn’t come with one. Luckily I had a spatula of sorts handy. This makes application a little more sanitary. Obviously the packaging is much nicer. Then again it is Tatcha. Their packaging is always really nice. The product itself smelled amazing! The texture is a bit like the Poreless Putty Primer, but The Silk Canvas Protective Primer is richer. It’s more of a balm. It melted into my skin effortlessly. My makeup never applied so beautifully. I feel like it gave my skin that flawless airbrushed look. I was surprised. For me this primer lasted pretty much all day. By the end of the day my makeup was still going strong. I love me some e.l.f. and they certainly have a lot of winners in my book. However, I just don’t think you can compare the Poreless Putty Primer to The Silk Canvas Protective Primer. They might have some similarities, but I wouldn’t go around calling it a dupe. 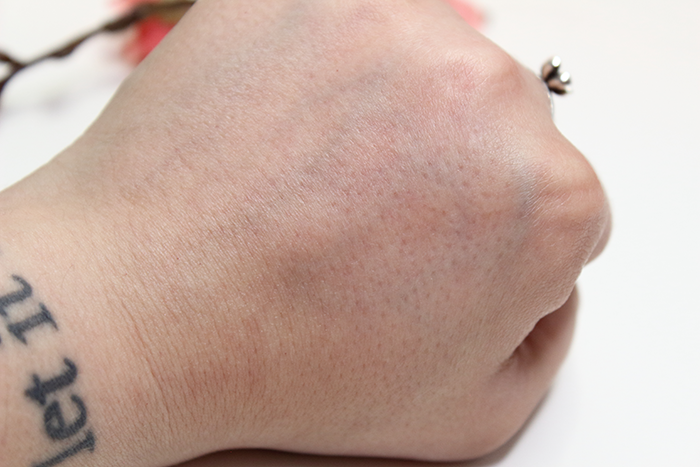 You can see the Tatcha The Silk Canvas Protective Primer in action below. Overall, I’d have to say that this primer did more than wow me. 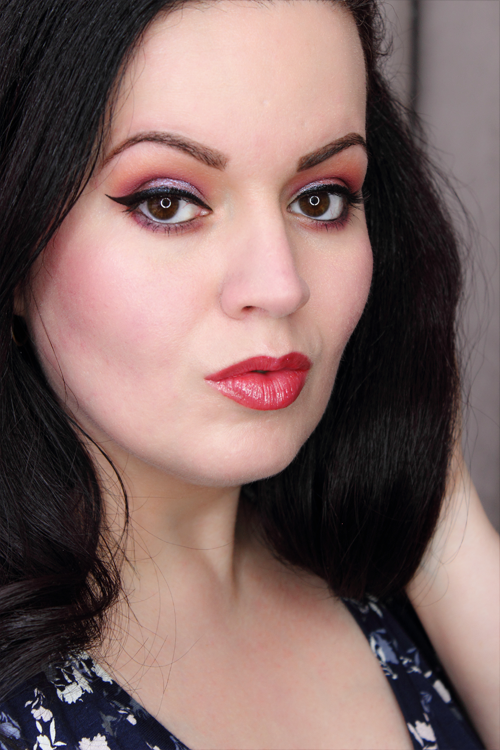 I love how it made my makeup look and feel. I love how long lasting it was. I love how amazing it smells. I’ll definitely purchase a full size. 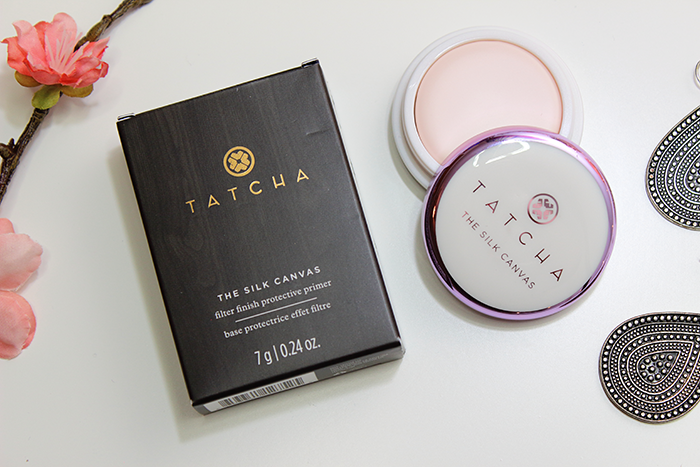 Have you tried the Tatcha The Silk Canvas Protective Primer? What primer are you loving at the moment?